In the past 9 months, I’ve tried over forty different vaporizers. Portables, desktops, wax vapes, herb vapes, liquid vapes. The whole shebang. I’ve developed a taste for quality products, but have learnt to find some feature or function that I admire in every vaporizer I’ve tried. For some it was quality, for others, it was portability, for another maybe battery life, and so on. Two of these vaporizers, however, clearly distinguished themselves above the rest of the pack. They have both been on the market for over a decade, yet have stood the test of time to remain the most premium herb vaporizers on the market today. Without further adieu, let me introduce the Volcano Digit Desktop Vaporizer and its counterpart the Arizer Extreme Q. Both are unrivaled in vapor quality and production and form the foundation of their respective brand’s offerings. German manufacturer Storz & Bickel grew to fame in the late 90’s with the release of their first vaporizer: the Volcano Classic. In 2007 came the follow-up, the Volcano Digit, which featured a new vaporization system known as the Easy Valve, as well as an upgraded digital interface. 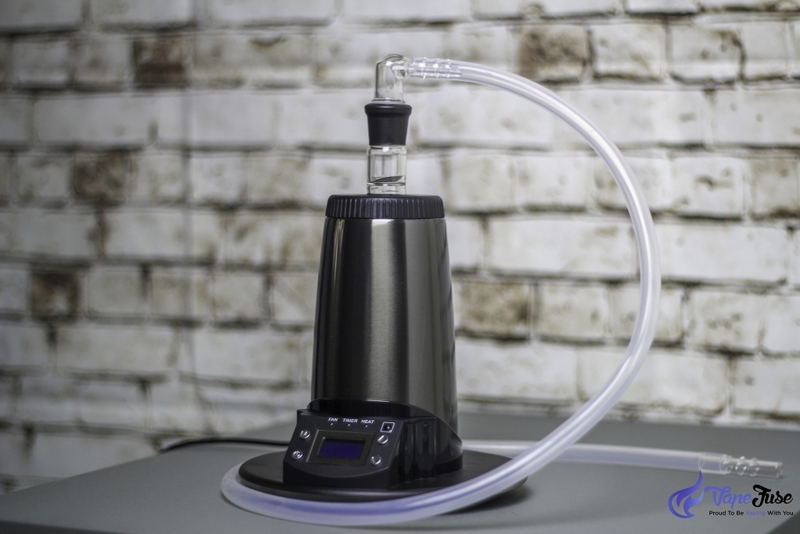 The Extreme Q is designed by Canadian manufacturer Arizer Tech, and is a recreation of their original whip-style vaporizer, the Arizer V-Tower. The Extreme Q is the epitome of functionality, with the ability to customize a number of unique settings including fan speed and time-out mode, as well as having a dual whip-balloon function. The two have so many similarities, the only real difference stems from the price tag and vaporization systems. 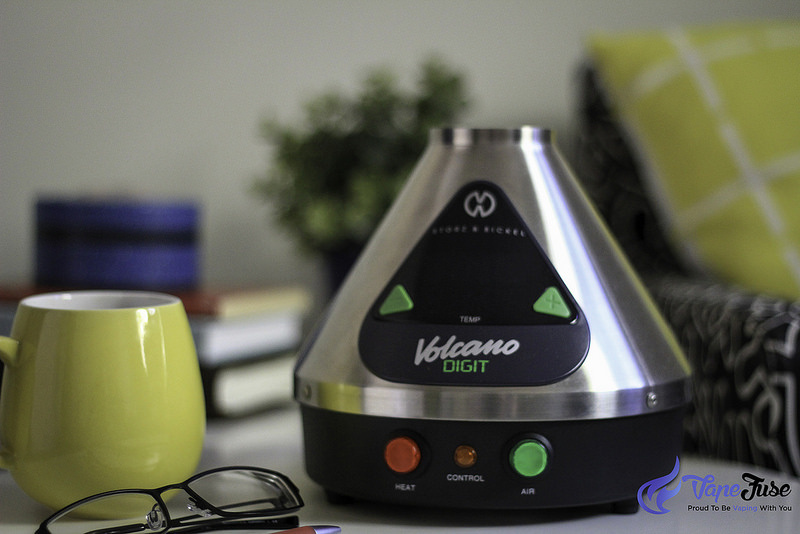 The Volcano Digit comes in at more than twice the price of the Arizer Extreme Q, with the exclusive medical patent and ultra-premium brand image attributing to the premium cost. In order to refrain from making a ten-page-long back and forth review, I’m going to be analyzing the vaporizers individually, in detail, and then compare the two at the end. Read on to see which premium desktop is right for you! Manufacturer & Year: Storz & Bickel GMBH, 2007. Chamber: The device has a number of interchangeable chambers (or Valve Kits) that can be selected at checkout. The original model, the Solid Valve Set, is more economical in terms of herb consumption and balloon wear due to the adjustable fill-level and replaceable balloon respectively; however, it’s comparatively weighty and a little more fiddly than the newer models. Some users say that the Solid Valve System leaks vapor a little bit but I personally have never experienced any vapor leaks using the Solid Valve on the Cano. 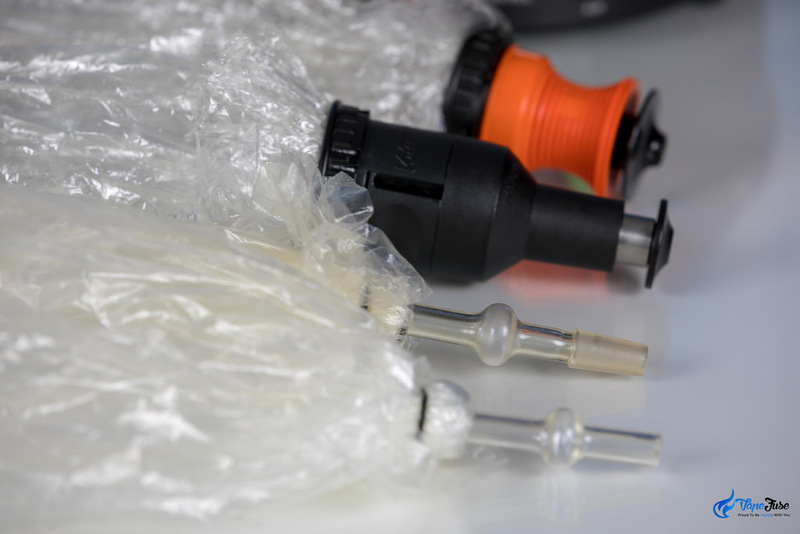 The Easy Valve Set, and subsequent New Easy Valve Set, include a single-size chamber that attaches directly to one of the preassembled balloons. The only difference between these two is that the New Easy Valve Set allows the user to replace the balloon bag like the Solid Valve. A full breakdown of the Valve Kit’s can be found below. Temperature: The Volcano Digit has a temperature range of 40°C (104°F) to 230°C (446°F) that can be adjusted in one and ten-degree increments. Pros: The Volcano Digit’s consistently outstanding performance is one of its greatest selling points. 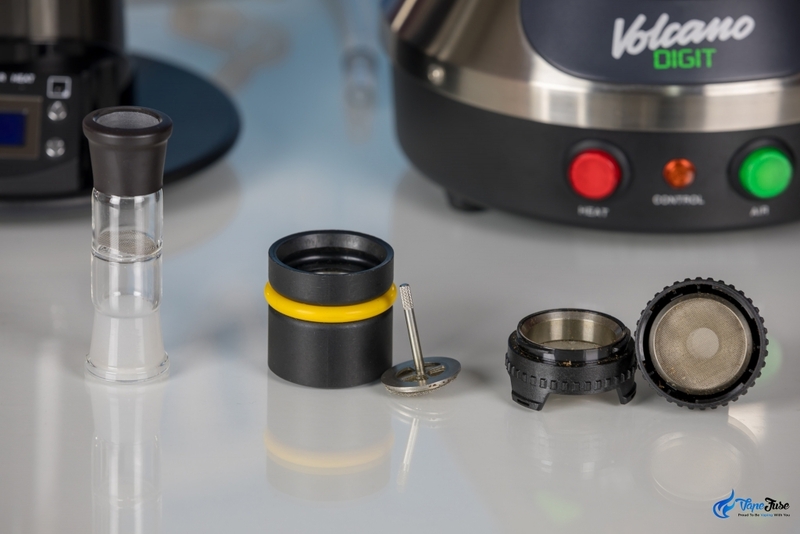 The device generates immaculate tasting vapor in a quick and ingenious way. Similarly, the approved medical patent on the device acts as a purchase incentive for many patients and businesses as they know they’ll be obtaining a pharmacy-grade product. The innovators that brought us the original balloon delivery system almost two decades ago have continued to deliver a consistently flawless product. Another thing I find fantastic about this vaporizer is the super easy to operate Valve Kits. The vapor stays secure in the balloon until you press your lips against the mouthpiece, meaning you can enjoy your bag over a short period as opposed to immediately. Storz & Bickel’s desktop vaporizer has stood to test of time and produces the best tasting vapor of any product I’ve come across. A definite must-have for connoisseur vapers. Cons: The price tag. Also, you’re dreaming if you think you’ll be able to lug this bad boy anywhere in a hurry. Warranty: In order to ensure a maximum peace of mind, all Volcano Digit’s purchased at VapeFuse.com come with an included 3-year warranty. Manufacturer & Year: Arizer Tech, 2007. Chamber: Large glass ‘Cyclone Bowl’ chamber that slides over a ceramic element. The heating element and chamber produce immaculate vapor via the silicon whip with glass mouthpiece, or through the balloons. 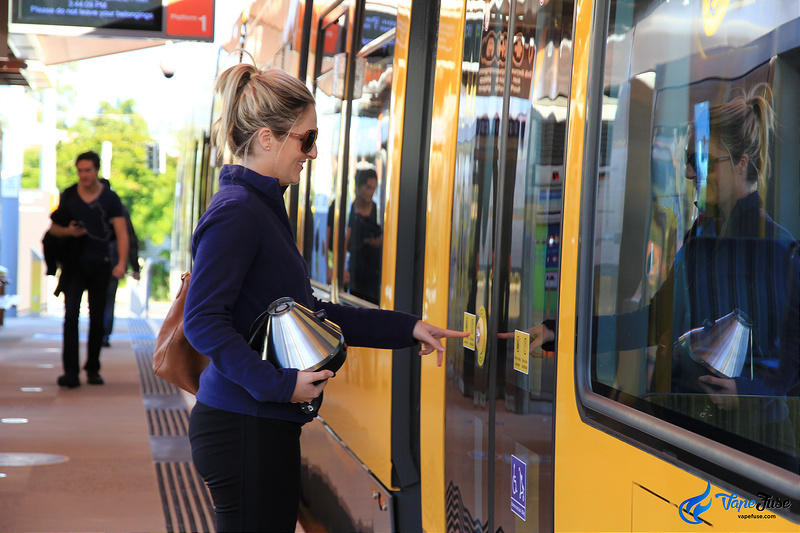 Temperature: The temperature ranges from 50°C (122°F) to 260°C (500°F) as well as giving you the option to switch between Celsius and Fahrenheit on the display. It is adjustable in one-degree increments through the up and down buttons in the control panel or via the included remote control. Similarly, the remote control has a number of preset temperature settings that increase in 10 to 15-degree increments. Pros: The price tag. 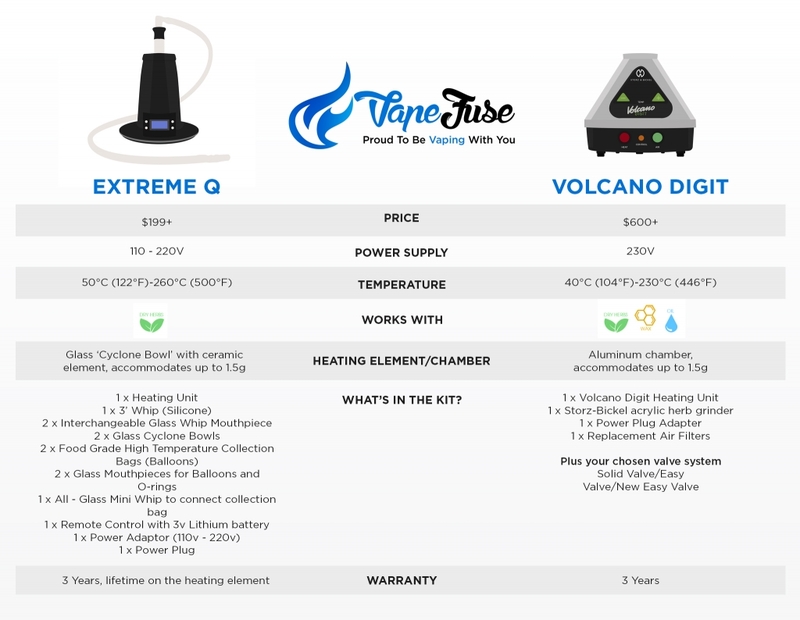 In terms of quality and design, the Arizer Extreme Q sits just behind the Volcano, yet carries a number of unique differences that have never been seen in this category of vaporizer before. The functionality of this device is incredible, with the ability to switch between 7 different settings via the device’s control panel or with the remote control. These settings include: operating sound, timeout function, temperature, 3-setting fan speed, under-glow Blue LED light and the unit of temperature.The included remote is a totally innovative feature that allows you to mess around with all the settings including fan speed and temperature without leaving your seat. This, coupled with the devices 1.5m (5ft) cable, makes it a model for someone looking to kick back for a couple sessions without lifting their feet off the coffee table. I love the glass-on-ceramic chamber that leads to the glass-on-glass mouthpiece; it’s a feature that reminds me of a water pipe and provides really smooth, dense vapor. Arguably the devices biggest selling point, the Extreme Q gives you the ability to alternate between a whip or balloon method of consumption. The whip is similar to a hookah and can be drawn from manually or via the assisted-draw function with the use of the fan. The broad temperature range, affordable price, and next level functionality means this vape is suitable for beginners and connoisseurs alike. Cons: Having a number of glass parts acts as a purchase incentive for many health-orientated vapers, the pieces are comparably more fragile than those of other desktops. The Cyclone Bowl gets hot quickly, and care must be taken when loading herbs not to touch the side of the glass edges of the bowl. The balloons can also be very fiddly to assemble. Warranty: Quality and longevity are assured with a massive 3-year warranty for parts and services to give you peace of mind that your investment in this unit is for the long haul. Not to forget is the lifetime warranty on the heating element! 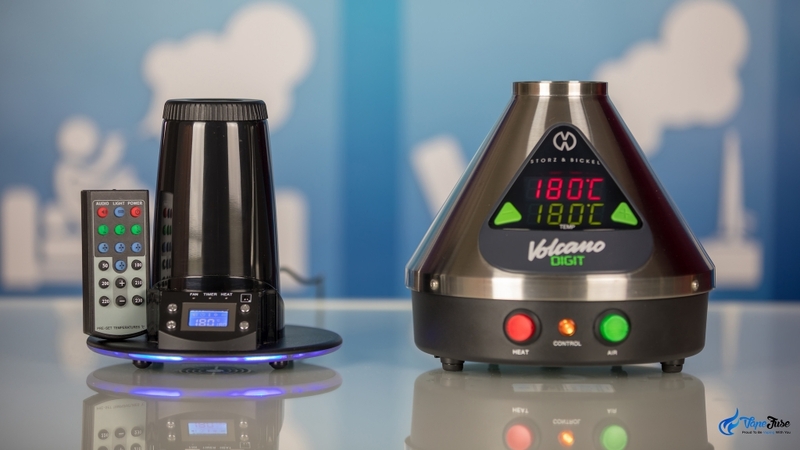 There are a huge number of reasons to invest in either of these vaporizers, especially if you look at these devices for what they are; an investment! Our VapeFuse Arizer Extreme Q model is 7 years and many, many sessions old and still going strong due to the minimal cleaning and upkeep necessary to maintain the device. The same longevity can be attributed to the Volcano Digit: the devices I used in Amsterdam were years old, used excessively on the daily basis and still ran clean as a whistle. These are long-term investments that’ll outlast any pen or glass bong. If you’re looking for something a bit more compact and affordable, the Arizer Extreme Q is the device for you. 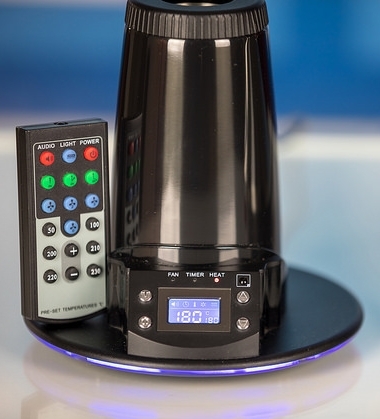 If you are more of a connoisseur consumer of herbs and are looking for a device that’s going to deliver a consistently perfect impression of your blends terpene and flavonoid profiles, then look no further than Storz & Bickel’s Volcano Digit Desktop Vaporizer. 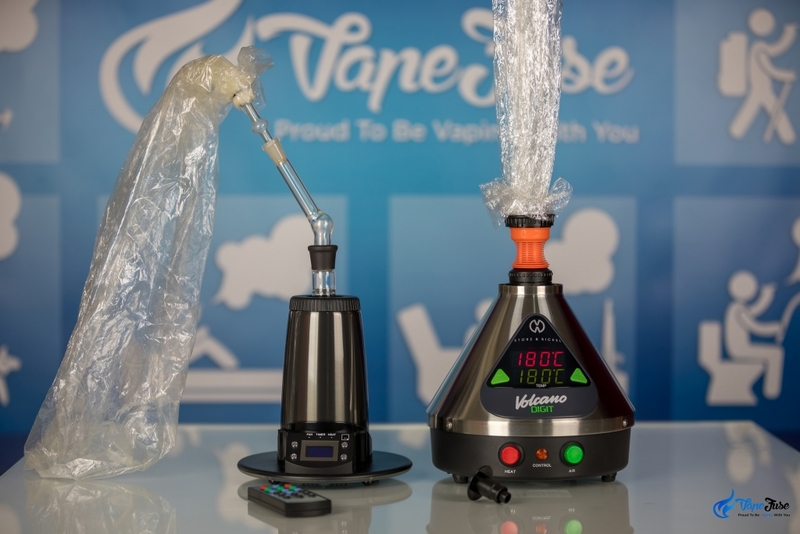 View our huge range of Storz & Bickel and Arizer products and accessories at VapeFuse.com and get up to date with the latest in vaping news and technology! Enjoy our breakdown of the Arizer Extreme Q vs Volcano Digit Vaporizer? 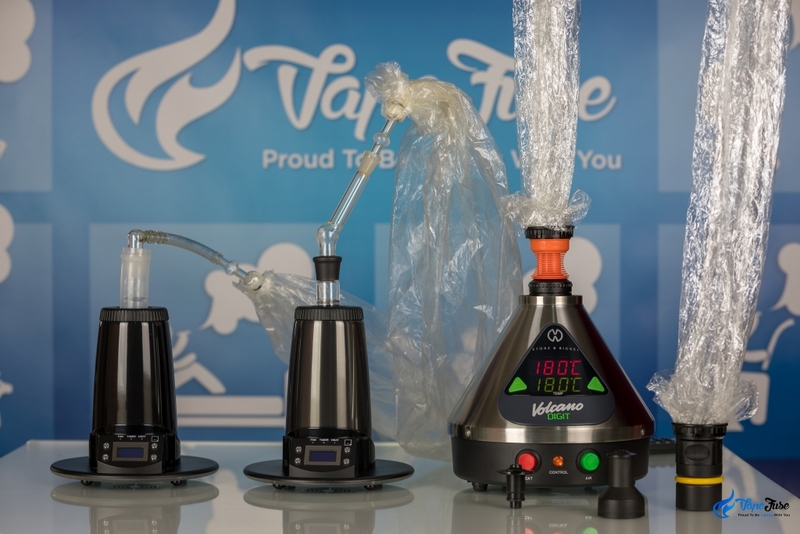 Check out our other review articles in the Vaporizer Review section! 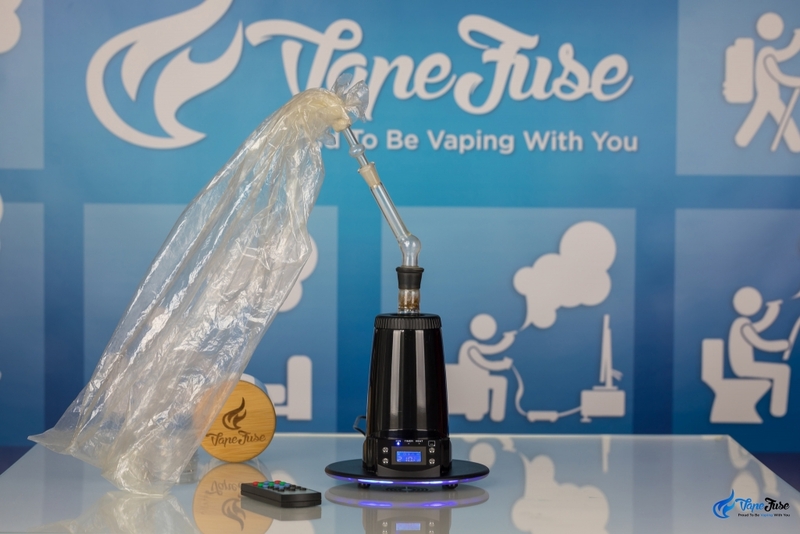 New Storz & Bickel Vaporizers are in Stock at VapeFuse!